This Saturday is Valentine’s Day, a day of the year that we express to others how much we care about them. In order to say thank you to all of those who are following my website, I want to show how much I care by having a book giveaway! 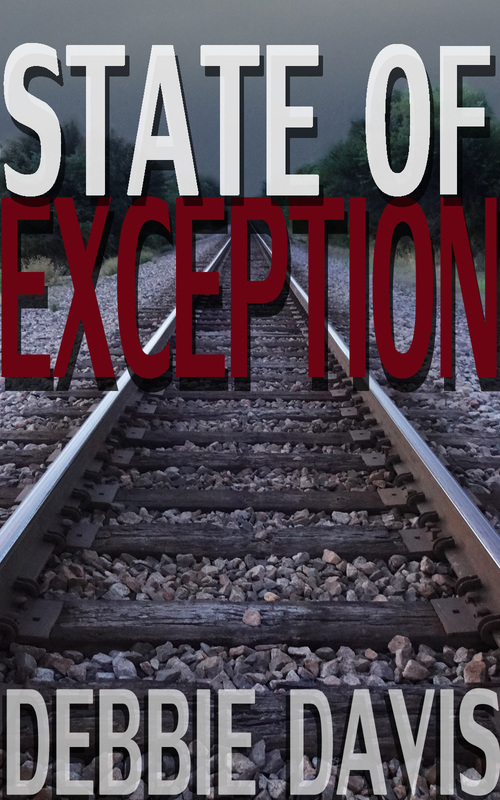 I will be giving away one signed paperback copy of State of Exception! The drawing is completely random and I will notify the winner via email. However, even if you do not receive the paperback book, anyone who enters will receive a coupon code for the e-book! All you need to do is fill out this form and make sure that you are following my website via email, WordPress, or have liked my Facebook page. If you are following my website and Facebook page, that counts as two entries! I will accept entries for the drawing for one whole month, between February 12 to March 12. I will notify the winner within a few days after March 12. If you would like more information on State of Exception, click here. If you would like to enter the book giveaway, click here! This entry was posted in Announcement, Books, Giveaway and tagged Announcement, Books, Giveaway on February 12, 2015 by literarychatter. Enter your email address to follow my website and receive notifications of new blog posts by email. In a society where the military reigns supreme, Audrey must decide whether she will abide by the law or join the Resistance movement set in place to dismantle the government. NaNoWriMo Prep: Just Say Yes!